Getting the needed amount of nutrients from our meals, especially fruits and vegetables often becomes a task. 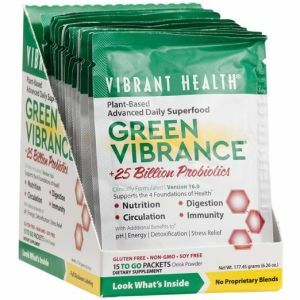 This is why we sometimes rely of superfood supplements like Green Virbance. 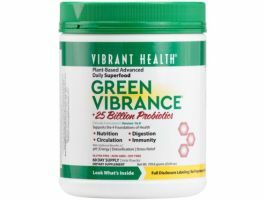 In this article, we take a look at the Green Vibrance side effects and see whether or not this supplement is worth taking for its benefits. Green Vibrance is touted as superfoods in powder form. Basically, it contains a number of healthy greens that can supplement us with the nutrition we often miss by not getting enough servings of vegetables daily. Its ingredients include some very convincing components. These include spirulina and chlorella. Then you have beet juice, barley grass, alfalfa grass and spinach among others. It also contains loads of vitamins and minerals including 95% of our daily vitamin A, 75% of vitamin C and 333% of vitamin E.
Support a healthy digestive tract. Improve circulation and cardiovascular health. And directly or indirectly build our body’s systems to make them stronger. The list of ingredients as well as what it can do looks quite impressive. So we now turn our attention to its side effects. 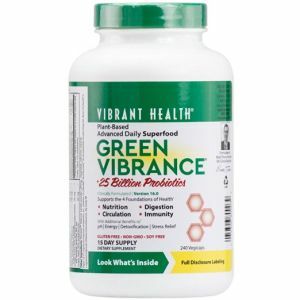 Green Vibrance is a powered supplement that has claimed to help with many health problems. It contains viable nutrients that help your cells function properly making you healthier and happy. This formula can help you with nutrition and digestion. It also has the additional benefit of enhancing nutrient delivery to all of the cells that are in your body. Many people claim it works and has helped them. But it comes with some side effects. One of the side effects that many if not most of the user’s claim is that it gives headaches. Many claim that when they use this supplement on a daily basis, it gives them a headache. This headache is said to occur whenever they use the product. As a result, it has caused some users to have to quit using the supplement as the headaches became so unbearable. This is despite the fact that Green Vibrance does do what it says it does. Many say that when you first begin to use the supplements it will give you the negative effects but after a really long while, the negative effects will go away. However, there seems to be a large number of users who have used the supplement and felt this side effect even a month or more after having them. After waiting that long in hopes of it going away, which it didn’t, they quit using it afterwards. Another side effect is stomach cramps. Thought the supplement is supposed to relieve cramps, many say it give stomach cramps. In addition to the stomach cramps, it also causes some other stomach or digestive related issues. 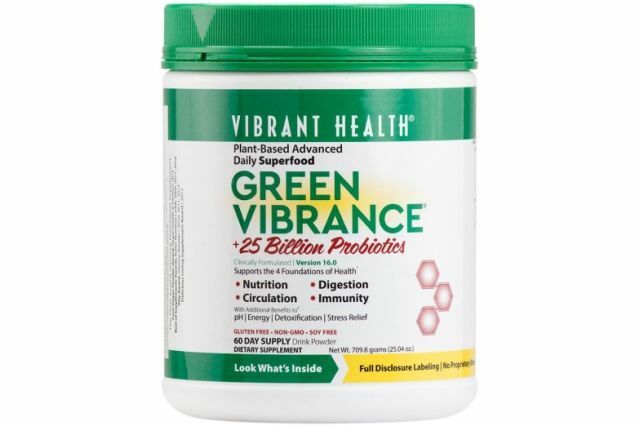 This goes to the point where some individuals experience stomach and gastrointestinal issues daily when using Green Vibrance. Green Vibrance contains Vitamin E, which is a very helpful vitamin that can help with an array of pain and disease. But while being helpful, it can also give you some unwanted side effects. One of those side effects is diarrhea. Many users report that the constant use of this supplement gives them unsettling diarrhea. The diarrhea comes off and on. It may go away and come back as time goes by. Eventually, this is also one side effect that made many decide to stop using the product. Do note however, that Green Vibrance as its name implies, is loaded with green vegetables and herbs. These include spirulina, chlorella, kale sprouts, spinach leaf and others. It also contains barley grass, wheat grass and oat grass. If you’ve eaten a lot of vegetables, you’ll know that too much can soften stool and make you go to the bathroom regularly. Sometimes too regularly. And we believe that the diarrhea may be because of this. And because of the high amounts of the greens, the results become more magnified. Fatigue is also reported from constant use of this drug. It causes light headed feelings and tiredness. As a result some users experience the need to sleep more often. This also causes them to perform poorly. You can also get low blood sugar from consumption. It contains some herbal extracts which include Barley grass, Alfalfa and also Oat grass, which are healthy and that can provide you with some digestive support. Research shows Alfalfa is a plant that contains eight essential amino acids. Herbalists consider it a good source of minerals, proteins and vitamins. And, it can help when treating kidney, prostate, digestive and inflammatory disorders. But if you have diabetes or are hypoglycemic, then these ingredients can cause your blood glucose levels to go down too low to dangerous levels. Many has reported muscles pain and weakness. Also, Green Vibrance can also cause some nausea and flu like symptoms. A runny nose is not uncommon according to many users. And many find that after using it a short while, you’ll later start feeling sick or feel like throwing up. Many say that mixing it with drinks can reduce the chances of having a feeling of wanting to throw up. But overall, if you decide to buy this, it is highly recommended to not take too much at a time and to read the labels so that you can have the right amount as all times to reduce your chances of getting the side effects.